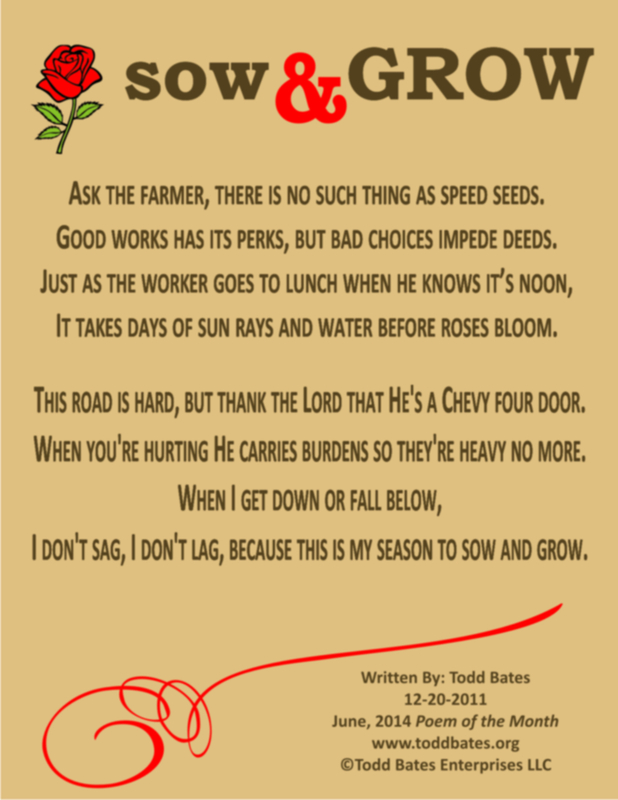 Ask the farmer, there is no such thing as speed seeds. Good works has its perks, but bad choices impede deeds. It takes days of sun rays and water before roses bloom. This road is hard, but thank the Lord that He’s a Chevy four door. When you’re hurting He carries burdens so they’re heavy no more. 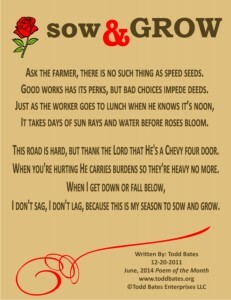 I don’t sag, I don’t lag, because this is my season to sow and grow. Thanks Coach with our faith,we claim the victory over the devil.Tell your family hello and the boys send their love.